Counterfeits can come in all shapes and forms. 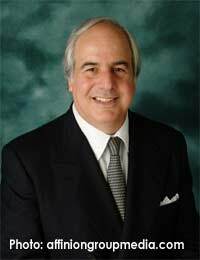 In the case of Frank Abagnale, virtually all his life has been counterfeit. He was the person on whom the movie Catch Me If You Can was based, which was taken from his autobiography of the same title. But he’s a bad guy turned good guy. After serving prison sentences for his crimes, he’s become a security consultant, teaching banks and other institutions how to recognise criminals like himself, and how to stop them. In some ways, he was lucky; his crimes were committed in an earlier age, before computers, when security wasn’t as tight as it is now. But there’s no denying that he was a master. Abagnale, born in New York in 1948, started out in his teens with items charged to his father’s credit card, running up a total of $3,400, although his dad didn’t find out until the bill collectors came calling. From there he learned about writing cheques on an overdrawn bank account, after which he branched out into creating fake identities and new accounts at other banks, before creating copies of cheques that he deposited and quickly withdrew the non-existent funds. His period of bank counterfeiting culminated in him printing his account number on blank deposit slips on bank counters. People would then unwittingly deposit money into his account, a scheme that netted him $40,000, and he got away with it before the banks could catch up with him. Abagnale wasn’t content with that bout of financial counterfeiting. He began taking on professional roles in false identities. He was a practicing doctor for a while, although he never presented any credentials, then posed as a pilot with Pan Am and a graduate of Harvard Law School – with a transcript he faked himself; he claimed he even took and passed (after three attempts) the bar exam in Louisiana. Finally he left after being hounded by a suspicious Harvard graduate. By the time Abagnale was finally captured in France, he was wanted in 12 different countries. He served short jail terms in both France and Sweden before extradition back to the US. However, he claimed he escaped from the plane taking him back as it taxied at the airport in New York then went on the run, only to be caught again in Montreal, Canada. Finally back in America again, he began serving a 12-year sentence. However, once again, through a remarkable mix-up, he was able to escape by posing as an undercover prison inspector, and vanished again – only to be caught once more in New York. In the end, Abagnale only served five years of his jail term, given early release on condition he help authorities find scammers and counterfeiters. He tried the straight life, but never quite fitted in, until he began giving talks to bank about the types of crimes he’d committed and how they could be detected. His success in that led him to found his own security company, earning enough to live well as a millionaire and pay back everyone he defrauded during his criminal career and working with the FBI on the right side of the law. Along the way he’s also written four books, including that famous – or perhaps infamous – autobiography, Catch Me If You Can. Which Counterfeits Hit the Market Before the Real Thing?